Today I stumbled on this amazing fanart series of some of the Disney princesses looking back at their otherself through a mirror. Remembering a time before their lives changed forever. Follow the link to the artists DeviantArt page for Ariel, Belle, Aurora Mulan and and Pocahontas. 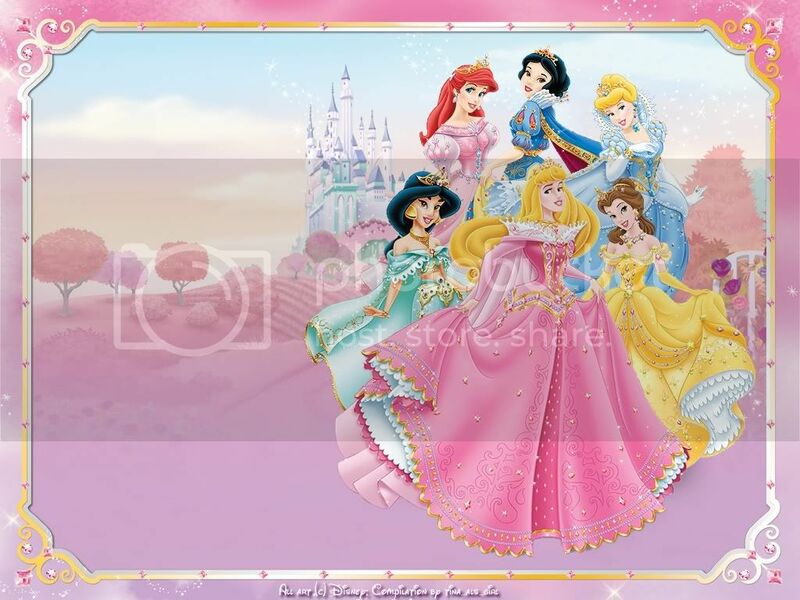 crystal_style shared her new Princess 2009 wall calender on d_princess LJ. Typical all the girls get new gorgus dresses and poor Jas is left with the stupid pose and dress she has for years. Why did the creators include her in the first place I wonder. Also on d_princess are scans of a cute Belle coloring page in the December issue of Prinsess. Princess fan Tina made herself a DP wallpaper of the girls in their “jewelry” look. I’m not crazy on this latest instalment but it’s better then 2007’s golden princesses look.